Hewlett Packard - 695507-001 695507-001 HP 1TB 7.2K RPM SAS6GBITS 3.5inches Dual Port Hot Swap Midline Hard Disk Drive With Tray For Hp Proliant Ml350 G6 Server Series. New Bulk Pack. Hewlett Packard - 9ZM273-035 9ZM273-035 HP 1TB 7.2K RPM SAS 6GBITS 3.5inches Dual Port Hot Swap Midline Hard Disk Drive With Tray For Hp Proliant Ml350 G6 Server Series. New Bulk Pack. Hewlett Packard - 649237-001 649237-001 HP 1TB 7.2K RPM SAS-6GBITS 3.5Inches Dual Port Midline Hard Disk Drive With Tray For HP Proliant Ml350 G6 Server Series. New Retail Factory Sealed With Full Manufacturer Warranty. Hewlett Packard - UE902E UE902E HP Service Buy 24X7X24 Proliant ML350 Hard Ware Support. New Retail Factory Sealed With Full Manufacturer Warranty. Hewlett Packard - HZ759E HZ759E HP Care Pack HardWare Support S Buy 24X7X24 Hours Call To Repair Proliant ML350. New Retail Factory Sealed With Full Manufacturer Warranty. Hewlett Packard - 483447-B21 483447-B21 HP Proliant Ml350 G6 SAS SFF CTO Chassis With No Cpu No Ram Gigabit Ethernet P410i Controller 5u Rack Server. New Bulk Pack. Compaq - 311523-001 HP ProLiant ML350 G3 Tower Xeon 2.8GHz/512k with 256MB memory. P/N: 311523-001. Hewlett Packard - 487930-001 487930-001 HP Proliant Ml350 G6 E5520 1 X Xeon 2.26GHz 8MB 6GB RAM SAS SATA Dvd Gigabit Ethernet Raid Controller 5u Tower Server. New Bulk Pack. Hewlett Packard - 664043-B21 664043-B21 HP Proliant ML350E G8 CTO Chassis With No CPU No RAM 4LFF Non-Hot-Plug Hdd Bays HP Dynamic Smart Array B120I SATA Controller HP Ethernet 1GB 2-Port 361I Adapter 5U Tower Server. New Bulk Pack. Hewlett Packard - 664044-B21 664044-B21 HP Proliant Ml350e G8 Cto Chassis With No CPU No RAM 6 Hot Plug Sata Drive Bays Dynamic Smart Array B120i Sata Controller Raid 01 10 Ethernet 1gb 2 Port 361i Adapter 5u Tower Server. New Bulk Pack. Hewlett Packard - 652065-B21 652065-B21 HP Proliant Ml350p G8 CTO With No CPU No RAM No HDD Matrox G200 4x Gigabit Ethernet 5 U Tower Server. New Retail Factory Sealed With Full Manafacturer Warranty. Hewlett Packard - 877619-001 877619-001 HP Proliant ML350 Gen10 3104 1P 8GB-R S100I 4LFF NHP 500W PS SUB Entry SATA Server. New Retail Factory Sealed With Full Manufacturer Warranty. Hewlett Packard - 648376-001 648376-001 HP Proliant Ml350e G8 1x Intel Xeon Qc E5 2407 2.2GHz RAM 4GB DVD ROM Matrox G200 2x Gigabit Ethernet 2 Way 5u Tower Server. New Retail Factory Sealed With Full Manafacturer Warranty. Hewlett Packard - 483448-B21 483448-B21 HP proliant Ml350 G6 SAS SFF CTO Chassis With No CPU No Ram Gigabit Ethernet P410i Controller 5u Tower Server. New Bulk Pack. Hewlett Packard - 754534-B21 754534-B21 HP Proliant Ml350 G9 Cto Chassis With No CPU No RAM HP Dynamic Smart Array B140i 8sff Hot Plug Hdd Bays 4x Gigabit Ethernet 5u Rack Server. New Retail Factory Sealed With Full Manufacturer Warranty. Hewlett Packard - 487928-001 487928-001 HP Proliant Ml350 G6 Server E5530 2 X Xeon 2.4GHz 8MB 12GB SAS SATA Dvd Gigabit Ethernet Raid Controller 5u Tower Server. New Bulk Pack. Hewlett Packard - 487932-001 487932-001 HP Proliant Ml350 G6 E5504 1 X Xeon 2.00ghz 4mb 4gb Ram SAS SATA Dvd Gigabit Ethernet Raid Controller 5u Tower Server. New Bulk Pack. Hewlett Packard - 736947-001 736947-001 HP Proliant Ml350p G8 1x Xeon 4 Core E5 2609v2 2.5GHz 10MB L3 Cache 4GB DDR3 Sdram Dvd Rom Sata Gigabit Ethernet 1x 460w Ps 5u Tower Server. New Retail Factory Sealed With Full Manufacturer Warranty. Hewlett Packard - 594869-001 594869-001 HP Proliant Ml350 G6 E5620 1 X Xeon Qc 2.40ghz l3 Cache 12MB 6GB RAM SAS SATA Dvd Gigabit Ethernet Raid Controller 5u Tower Server. New Bulk Pack. Hewlett Packard - 686714-S01 686714-S01 HP ProLiant ML350p G8 5U Tower Server 1 x Intel Xeon E5-2620 2GHz. New Retail Factory Sealed With Full Manufacturer Warranty. Hewlett Packard - 686713-S01 686713-S01 HP ProLiant ML350p G8 5U Tower Server 1 x Intel Xeon E5 2620 2GHz. New Retail Factory Sealed With Full Manufacturer Warranty. Hewlett Packard - 594874-001 594874-001 HP Proliant Ml350 G6 1 X Xeon X5650 Hc 2.66GHz 12GB RAM SAS SATA DVD ROM Gigabit Ethernet 5u Tower Server. New Bulk Pack. Hewlett Packard - 754537-B21 754537-B21 HP Proliant Ml350 G9 Cto Chassis With No Cpu No Ram HP Dynamic Smart Array B140i 8lff Hot Plug Hdd Bays HP Embedded 1GB Ethernet 4-Port 331i Adapter 2-Way 5u Tower Server. New Bulk Pack. Hewlett Packard - 656764-S01 656764-S01 HP Proliant Ml350 G6 2 X Intel Xeon 6-core E5645 2.4ghz l3 Cache 24MB RAM 16GB No HDD DVDRW Ati Es1000 2 X Gigabit Ethernet 5u Tower Server. New Bulk Pack. Hewlett Packard - 659192-S01 659192-S01 HP Proliant Ml350 G6 1 X Intel Xeon Quad core E5620 2.4GHz L3 Cache 12MB RAM 8GB SAS Hot-swap 2.5 -no Hdd Dvdrw Gigabit Ethernet 2 way 5u Tower Server. New Bulk Pack. Hewlett Packard - 600427-005 600427-005 HP Proliant Ml350 G6 Special Server 1x Intel Xeon Quad Core E5630 2.53ghz 6gb Ddr3 Ram 2x146gb Hdd Dvd-Rom Gigabit Ethernet 2 Way 5u Tower Server. New Bulk Pack. Hewlett Packard - 654078-S01 654078-S01 HP proliant Ml350 G6 Special Server 1x Xeon E5606 Qc 2.13GHz 4GB RAM No HDD SAS SATA DVDRW Drive Gigabit Ethernet 5uTower Server. New Bulk Pack. Hewlett Packard - 600426-005 600426-005 HP Proliant Ml350 G6 Special Server 1x Xeon E5620 Qc 2.4GHz 4GB RAM SAS SATA DVDRW Drive Gigabit Ethernet 5u tower Server. New Bulk Pack. Hewlett Packard - 382195-001 382195-001 HP Proliant Ml350 G4p 1 X Xeon 3.0ghz 1gb Ram Ultra320 SCSI 48x Cd-rom FDD Gigabit Ethernet Ilo SA-641 Raid 5u Rack Server. New Bulk Pack. Hewlett Packard - 652063-B21 652063-B21 HP Proliant Ml350p G8 Cto Chassis With No CPU No RAM 8 Hot Plug Sff Sas Sata Drive Bays Smart Array P420i Controller 1GB Ethernet 4 Port 331i Adapter No Rails Rack Server. New Bulk Pack. Hewlett Packard - 736984-S01 736984-S01 HP Proliant Ml350p G8 Sbuy 1x Xeon 6 Core E5 2620 V2 2.1GHZ 8GB DDR3 RAM DVD ROM 8sff Sas Sata HDD Bays Smart Array. New Retail Factory Sealed With Full Manufacturer Warranty. Hewlett Packard - 487931-001 487931-001 HP Proliant Ml350 G6 E5520 1 X Xeon 2.26GHz 8MB 6GB Ram SAS SATA Dvd Gigabit Ethernet Raid Controller 5u Tower Server. New Bulk Pack. Hewlett Packard - 652066-B21 652066-B21 HP ML350p G8 CTO TOWER CHASSIS LFF. New Bulk Pack. Hewlett Packard - 661326-S01 661326-S01 HP ProLiant ML350 G6 5U Tower Server 1 x Intel Xeon E5645 2.4GHz. New Retail Factory Sealed With Full Manufacturer Warranty. Hewlett Packard - 382177-001 382177-001 HP proliant Ml350 G4p 1x Xeon 3.2GHz 512MB Ram Ultra320 SCSI 48x Cd-ROM FDD Gigabit Ethernet Ilo 5u Rack Server. New Bulk Pack. 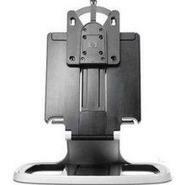 Hewlett Packard - P03072-S01 P03072-S01 HP ML350 Gen10 3104 1P 16G 4LFF SVR SB. New Retail Factory Sealed With Full Manufacturer Warranty. Hewlett Packard - 600424-005 600424-005 HP Proliant ML350 G6 S Buy 1X Xeon Quad Core E5506 2.13GHz 2GB DDR3 SDRAM DVD RW 2X Gigabit Ethernet 2 Way 5u Tower Server. New Bulk Pack. Hewlett Packard - 776976-S01 776976-S01 HP Proliant Ml350 G9 S-Buy 1x Intel Xeon E5-2609v3 1.9GHz Hexa-Core 8GB Ddr4 Sdram HP Smart Array P440ar With 2gb Fbwc 4x Gigabit Ethernet 1x 500w Ps 5u Tower Server. New Bulk Pack. Hewlett Packard - 382197-001 382197-001 HP Proliant Ml350 G4p-1p Xeon 3.4GHz 512mb Ram Ultra320 SCSI 48x Cd-rom FDD Gigabit Ethernet Ilo 5u Rack Server. New Bulk Pack. 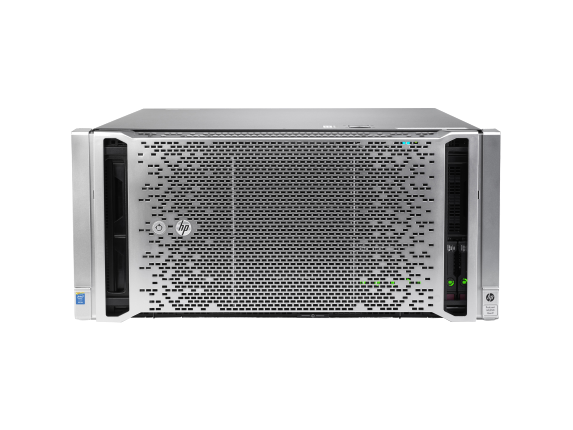 Hewlett Packard - 835850-S01 835850-S01 HP Proliant ML350 G9 S-Buy 2X Xeon 8-Core E5-2609-V4 1.7GHz 20MB L3 Cache 8GB DDR4 SDRAM 4X Gigabit Ethernet 1X 500W PS 5U Tower Server. New Retail Factory Sealed With Full Manufacturer Warranty. Hewlett Packard - 517430-005 517430-005 HP proliant Ml350 G6 E5520 1 X Xeon Qc 2.26GHz 8MB 4gb RAM SAS SATA Gigabit Ethernet Raid Controller 5u Tower Server. New Retail Factory Sealed With Full Manufacturer Warranty. Hewlett Packard - 517431-005 517431-005 HP Proliant Ml350 G6 1x Xeon E5530 Qc 2.4GHZ 6GB DDR3 SDRAM 3 X 146GB HDD Serial Attached Scsi 5u Tower Server. New Bulk Pack. Hewlett Packard - 600425-005 600425-005 HP Proliant Ml350 G6 Special Server 1x Xeon E5620 Qc 2.4GHz 4GB RAM SAS SATA DVDRW Drive Gigabit Ethernet 5u-tower Serverr. New Retail Factory Sealed With Full Manufacturer Warranty. Hewlett Packard - 678237-001 678237-001 HP Proliant Ml350p G8 5u Tower Server 2 X Intel Xeon E5 2650 2GHz. New Retail Factory Sealed With Full Manufacturer Warranty. 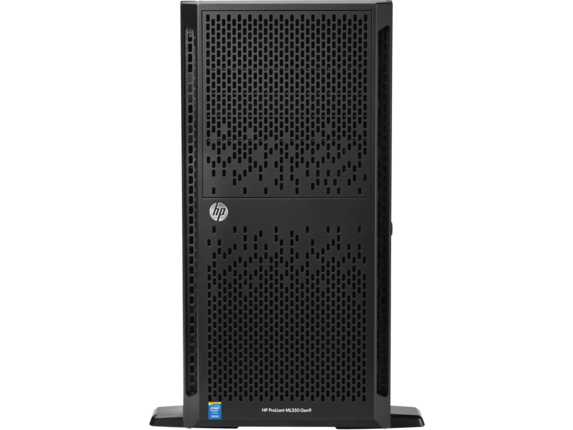 Hewlett Packard - U7BG4E U7BG4E HP Proactive Care Service 24 Hours A Day 7 Days A Week Extended Service Agreement Parts And Labor On-Site For Proliant Ml350 Gen9 Server. New Retail Factory Sealed With Full Manufacturer Warranty. Hewlett Packard - 648377-001 648377-001 HP Proliant Ml350e G8 5u Tower Server 1 X Intel Xeon E5-2420 1.9GHz. New Retail Factory Sealed With Full Manufacturer Warranty. Hewlett Packard - 517429-005 517429-005 HP Proliant Ml350 G6 E5520 1 X Xeon 2.26GHz 4MB 4GB RAM SAS SATA DVD Gigabit Ethernet RAID Controller 5u Tower Server. New Retail Factory Sealed With Full Manufacturer Warranty. Hewlett Packard - 638180-001 638180-001 HP proliant Ml350 G6 Special Server 1x Xeon E5606 Qc 2.13GHz 4GB RAM No HDD SAS SATA DVDRW Drive Gigabit Ethernet 5u Tower Server. New Retail Factory Sealed With Full Manufacturer Warranty. Hewlett Packard - 382196-001 382196-001 HP Proliant Ml350 G4p 1p Xeon 3.2GHz 1GB RAM Ultra320 SCSI 48x Cd ROM FDD Gigabit Ethernet ILO Sa 641 RAID 5u Rack Server With No Rails. New Bulk Pack. Hewlett Packard - 576778-001 576778-001 HP Proliant Ml350 G6 2 X Xeon E5530 Qc 2.4GHz 12GB DDR3 SDRAM OGB HDD Serial Attached SCSI 5u Rack Server. New Bulk Pack. Hewlett Packard - 736967-001 736967-001 HP Proliant Ml350p G8 2x Xeon E5-2640v2 2.0GHz 16GB Ddr3 Sdram HP Smart Array P420i With 2GB Fbwc 4 X Gigabit Ethernet 2x 750w Ps 2 Way 5u Tower Server. New Retail Factory Sealed With Full Manufacturer Warranty.